Windows 98 is undoubtedly one of the most popular Windows versions to date and, Windows 98 no longer receives updates and fixes from Microsoft. The software giant released Windows 98 operating system on June 25, 1998, exactly 20 years ago from today. Windows 95 arrived in August 1995 and introduced the Start button and taskbar, and it also introduced a new concept of “plug and play”. 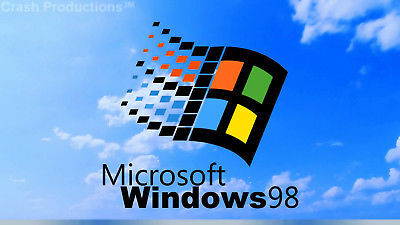 Windows 98 was a successor to Windows 95, and it brought Outlook Express, Internet Explorer 11, Windows Address Book, Microsoft Chat, NetShow Player and other improvements. Windows 98 Second Edition was released in 1999, and NetShow Player was replaced by Windows Media Player 6.2. Just like Windows 95, Microsoft’s Windows 98 was also a major upgrade, and it introduced the back and forward navigation buttons and the address bar in Windows Explorer. With Windows 98, Microsoft also improved the USB support, and it’s one of the reasons that led to widespread adoption of USB hubs and USB mice. Read more on OUR FORUM.